Are you aware that there are some English words whose initials you don't tamper with? You must ensure that their initials are always written in capital letters. I call them "The king pins of English", but the English man calls them "Proper Nouns." 1. 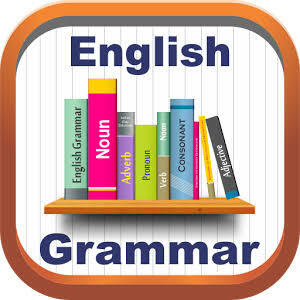 The first letter of a sentence or after a full stop, question mark and exclamation mark. You don't begin a sentence with a small letter, and in course of writing, you don't begin a new sentence with a small letter either, after ending the previous one with a full stop, question mark or an exclamation mark. Children of this generation really need the mercy of God. What a lost generation! The eyes could no longer behold what they see. Please take note of the bold words. The "C" in "children" is written in uppercase because it begins the sentence. The "w" in "what" and the "T" in "the" are in uppercase because they begin a new sentence, after the end of the previous ones with a full stop and an exclamation mark. Another thing you should note is that "children", "what" and "the" are not proper nouns, but because of their positions in the sentences, their initials are capitalized. On no account should you write the initials of the days of the week or the months of the year in lowercase. Whether they appear in the beginning, middle or at the end of a sentence, they must be written in uppercase. I was born on August 23, 2016. He came to my house on Sunday but didn't stay long. The initials of all the aforementioned must be capitalized. Juliet, America, Lagos, Ibadan, Amassoma, Rumuola etc. Examples:The Tamunos, The Principal, The Manager, etc. Whatever name or title you call or give to God in your dialect, make sure the initial is written in capital letter. Examples: Chukwu, Allah, God, Oluwa, Tamuno, etc. Most persons make the mistake of writing the first person singular pronoun, "I" in lowercase, especially when it is written in the middle of a sentence. The first person singular pronoun should always be in uppercase, irrespective of its position in a sentence. I love Tammy's English blog. You and I will be travelling to Abuja tomorrow. It is worthy of note to state that the pronoun, "I", is not a proper noun but enjoys the benefit of a proper noun because of the orthography of the language.